WHAT: The University of Illinois Springfield Orchestra will perform well-known tunes from several popular movies during its “Afternoon at the Movies” spring concert. Following the performance, a meet and greet will be held for high school students and parents who want to learn more about the UIS Music Program and the new academic minor. WHEN: Sunday, May 7, 2017 – concert at 3 p.m., meet and greet at 4:30 p.m. DETAILS: The concert will feature pieces from famous movies, such as “Star Wars”, “The Pink Panther” and “James Bond”, and includes the “Warsaw Concerto” by Richard Addinsell, featuring pianist Miaomiao Liu, winner of the UIS Solo Competition. Yona Stamatis, UIS assistant professor of ethnomusicology, will direct the orchestra. After the concert, high school students and parents can meet and speak with UIS music professors and students to learn about new opportunities in the UIS Music Program, including new course offerings in musicology, ethnomusicology, music technology, music theory and performance, the new music minor degree offered at UIS and brand new individual instrumental and vocal instruction for fall 2017. 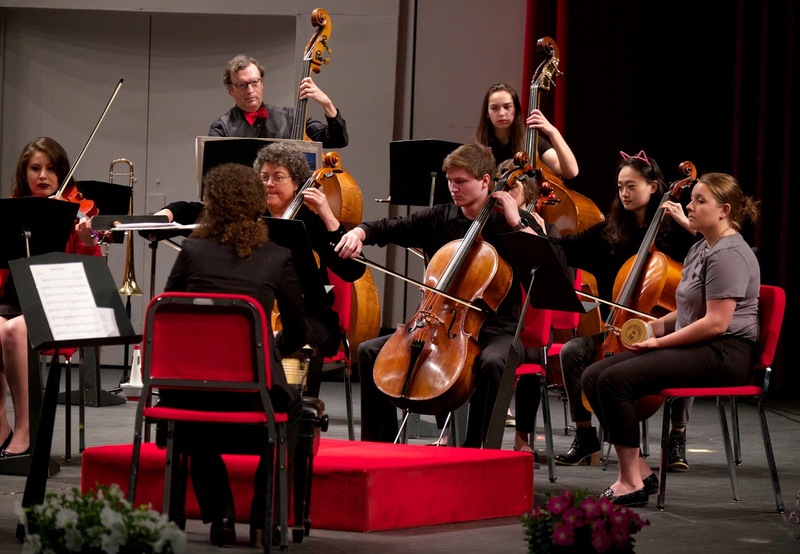 Students and parents can also learn about the $10,000 Camerata Scholarships offered to non-music majors and various musical opportunities on campus. The concert is free, but donations used to benefit the UIS Music Student Merit Award are welcomed. The UIS Music program began in 2001 and is comprised of students, faculty, staff and alumni, as well as Springfield community members, all with a variety of skill levels. For more information, contact Stamatis at 217/206-8583 or ystam2@uis.edu.